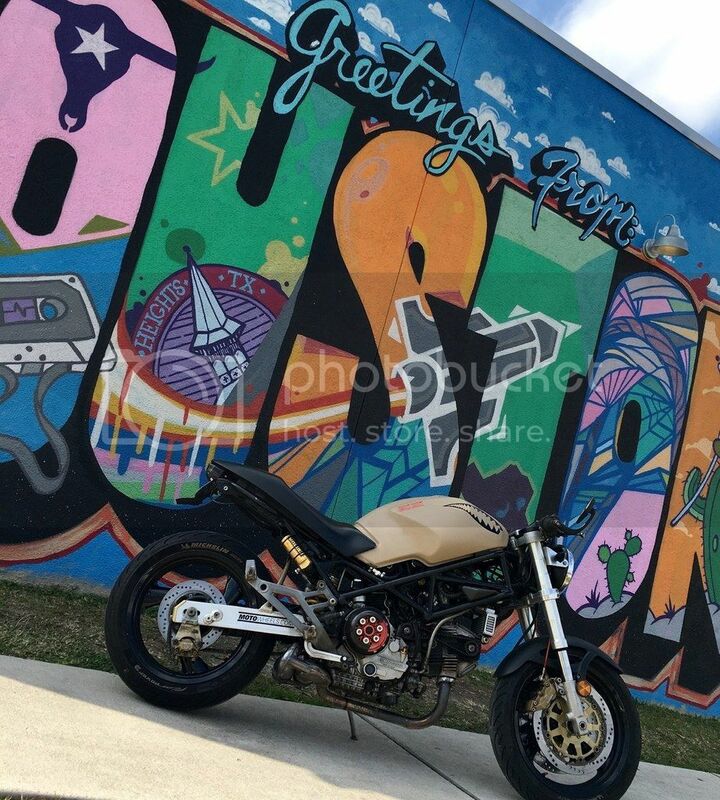 The July Bike of the Month Winner is: racer_80! racer_80 has won a $25.00 gift certificate to Motorcycles Unlimited ! AND his bike will be featured at the top of the forum for the whole month! I'd like to thank everyone that entered, you all have some very nice bikes! I've got a soft place in my heart for old Monsters. Congrats on the win buddy. Pretty unique. "If you don't ask the answer is always no"
Beautiful ride. Well deserved . Don't ask for an easier life, ask to be a stronger person in the life you have. Monsters, first gen FZ1s and Speed Triples for me. Where is August, September, and Octobers bike? That Monster is a beaut!